“Pair” is the first exhibition of a new series, Pagano said. 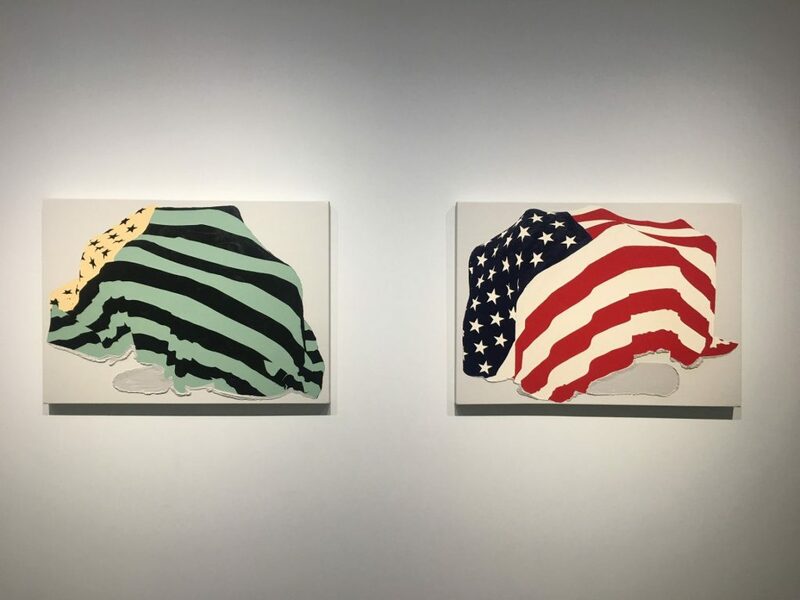 The idea is to start a conversation by placing two artists in the same exhibition, in this case Dodge and Baldridge, whose work Ron Pizzuti has been collecting since 2005. Both are graduates of the Rhode Island School of Design and share a studio space together in New York. Both artists work in multiple disciplines between new media and fine art. Dodge explores technology as it interacts with and shapes human experience, while Baldridge focuses more on the unseen, peering into remote and unknown places at the edge of society and nature. “Alex and I both have a fluid approach to using process and technology to achieve various conceptual and/or aesthetic effects,” Baldridge said in an email. Pagano said she decided to pair these two artists together due to their multidisciplinary approach such as printmaking, photography and scratch-off ink, as well as their humorous commentary on today’s culture of consumerism, environmental and political issues and the daily overloads of information created by modern technology. “Seeing 12 years of work from Glen and I chronicled side by side is not only moving on a personal level, looking back on the years, but it also paints a picture of how the world has changed,” Dodge said in an email. The Pizzuti Collection is located at 632 North Park St. and is free to members, $12 for adults and $10 for senior citizens. The gallery is open Wednesdays, Fridays and Saturdays from 10 a.m. to 5 p.m., Thursday from 10 a.m. to 8 p.m. and Sunday from 12 to 5 p.m.
© 2019 Alex Dodge All Rights Reserved.